Gretta Walters is an Associate at Chaffetz Lindsey LLP in New York, where she represents individual and corporate clients in international and cross-border disputes in arbitration and in state and federal court. She has experience in arbitral proceedings under the arbitration rules of the International Court of Arbitration of the International Chamber of Commerce (ICC), the International Centre for Dispute Resolution (ICDR), and the Arbitration Institute of the Stockholm Chamber of Commerce (SCC). Prior to joining Chaffetz Lindsey, Gretta was an Associate at Mayer Brown, Legal Counsel at the SCC, and a Visiting Lecturer at Stockholm University. 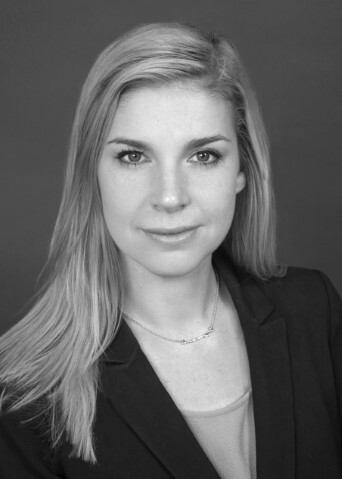 Gretta is a Global Advisory Board member of ICDR Young & International (ICDR Y&I) and Secretary of the International Commercial Disputes Committee of the New York City Bar. She also co-coaches the Foreign Direct Investment and Vis International Commercial Arbitration moot court teams at New York University Law School. She received a J.D. degree from American University, Washington College of Law (Washington, DC) and an LL.M. in international commercial arbitration from Stockholm University (Sweden). She is admitted to the New York bar. 1. What drew you to the world of International Arbitration? I first learned about International Arbitration through the Vis moot court competition, and—if I’m being totally honest—I really had no idea what it was. The moot offered the potential of traveling to Vienna for a week as a law student, which sounded great to me. As I immersed myself in the substance of the competition, however, I knew International Arbitration was a field that I was interested in pursuing. The Vis was unlike any of my other law school coursework— it forced me to approach legal problems more creatively and from different perspectives, while considering unique legal issues and cultural backgrounds— and I loved it. I unintentionally started laying the groundwork for my career when I joined the Vis moot court team in law school with an eye on a trip to Vienna. Interestingly, however, this initial involvement with the Vis has been a constant throughout my career—I went on from being a competitor, to a student coach, to a judge, and now to a co-coach of the NYU Vis team. Once I knew I was interested in pursuing a career in International Arbitration, I did what I could to get my foot in the door while I was still in law school. (I had seen the hundreds of students with ambitions similar to mine at the Vis in Vienna and recognized that International Arbitration is a competitive field to enter. ) My approach was to learn as much as I could about International Arbitration and to begin to network with those already practicing in the field. I took all the classes my law school offered in arbitration, continued to participate in the Vis, and attended all the arbitration conferences and events (either as a participant or volunteer) that I could. The pivotal moment in my career was when I made the decision to move to Sweden to pursue an LL.M. in International Commercial Arbitration Law at Stockholm University. I anticipated that the experience would teach me a great deal more about International Arbitration, but I had planned to return to New York immediately after the program ended, where I primarily would be working in US litigation. My decision to move to Stockholm ultimately changed my plans and kicked off a chain of unexpected experiences and opportunities that shaped my career. First, the Stockholm program gave me a network of classmates and alumnae from all over the world that are some of my closest friends and professional colleagues today. They have each been invaluable to me as I’ve grown throughout my career. Second, the experience gave me an incredible mentor, Patricia Shaughnessy, the head of the Stockholm program. Without the academic, professional, and personal advice from Patricia, who I like to call my arbitration mom, I know I would not be where I am in my career today. And third, the move to Stockholm led to positions at Stockholm University and at the SCC after I completed my studies. There, I experienced International Arbitration on new, practical levels, which have been formative in my development as an attorney. For example, at the SCC, I was exposed to seasoned practitioners and arbitrators from all over the world and got to observe different styles of advocacy and arbitrating. In addition, I learned firsthand how various aspects of the institutional process, like arbitrator appointments and challenges, function. My time in Stockholm also gave me the opportunity to meet practitioners in the field and develop my own network. One of those practitioners was James Hosking, whom, several years later, I am now working with at my current firm of Chaffetz Lindsey and am also lucky enough to rely on as another invaluable mentor. 5. If we look at arbitration as a battlefield, what are the three metaphorical weapons any lawyer needs, and why? A level head, an open mind, and an eye for detail. When you are working under tight deadlines and passionately fighting for your client, it can be easy to get stressed and frustrated at the process, opposing counsel, your colleagues, and others involved in the case. But even in those moments (or maybe particularly in those moments), approaching problems or issues calmly and with an effort to understand other peoples’ perspectives will give you the most success. These three weapons are also important when you approach a new case. Many of my recent cases at Chaffetz Lindsey have involved disputes over financial transactions or construction projects. Regardless of the subject matter, however, I’ve learned to approach a new case the same—there is no substitute for a careful review of the key details and documents to understand the issues. And keep an open mind about the issues—a dispute over the strength requirements of structural steel can be much more interesting than it may sound like at first! 6. Upon reflection, are there any decisions you made that you feel aspiring arbitration practitioners could learn from? As I mentioned above, the decision to move to Stockholm changed my career, but making that decision was a risk for me. I was set to begin my career in New York, practicing in US litigation, and LL.M. degrees are uncommon for many US practitioners to pursue. But I was still interested in one day working in International Arbitration and thought that the Stockholm program could maybe lead to opportunities in the field. Once I decided to take the risk, I decided to give 100% to my time in Stockholm. I worked hard and jumped on every opportunity I could to pursue the career I wanted, even though it sometimes put me outside of my comfort zone. That combination of being willing to take a risk, working hard, and putting myself out there was what worked for me. I would encourage other aspiring arbitration lawyers to do the same! Another decision I made early on in my career was to actively engage with the larger arbitration community. While I was a student, these efforts started with attending International Arbitration conferences and events. As a practitioner, I now try to take a more active role, such as by taking on leadership positions (like with the ICDR Y&I) and publishing and speaking on arbitration issues. These “extracurricular” activities keep forcing me to stepp outside of my comfort zone, but they are rewarding. I’ve developed a great network of colleagues, had the opportunity to travel to great locations (like Costa Rica in winter), and been involved in interesting projects (like a forthcoming book on enforcement issues in New York). 7. Is there any additional candid advice or insight that you can offer to assist those who are entering the field, deciding whether to enter the field, or already are in the field of International Arbitration? Don’t neglect learning how to actually practice law in the courts of at least one jurisdiction. It’s easy to want to jump immediately into International Arbitration from day one of your career (I was guilty of this too), but, at least for me, learning how to be a lawyer in my home jurisdiction has been invaluable. After my time in Stockholm, I did end up starting my law firm career with a majority of my cases in US litigation, and I still balance my caseload between a mix of US litigations and International Arbitrations. Understanding how a domestic judicial and legal system operates in practice and learning how to navigate procedural and substantive issues in that system have made navigating the International Arbitration procedures and processes easier. In addition, litigation, in my experience, can put you before the court or opposing counsel more frequently than in arbitration and can give younger attorneys greater opportunities to develop written and oral advocacy skills, which can be transferred to arbitrations.